German physician and statistician; born at Pyritz, Pomerania, Oct.22, 1819; studied medicine at Berlin and Halle (M.D. 1842). He has practised as a physician in Berlin since 1845, and in 1875 received the title of "Sanitätsrat." 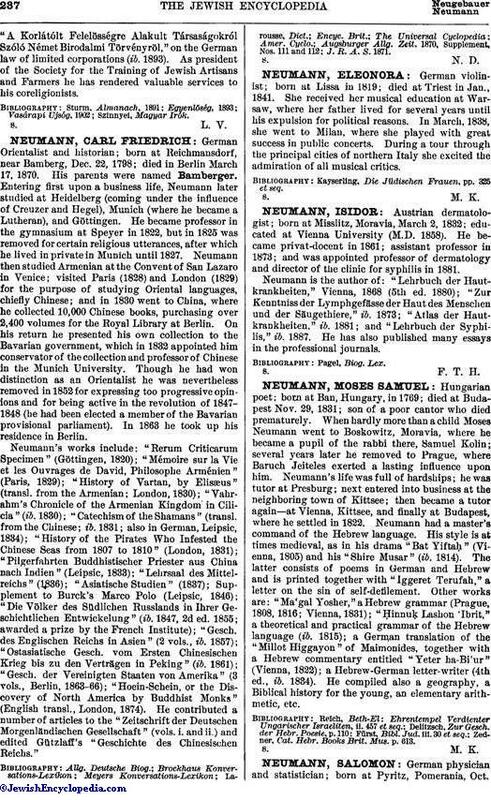 Neumann has contributed many essays to the medical journals. 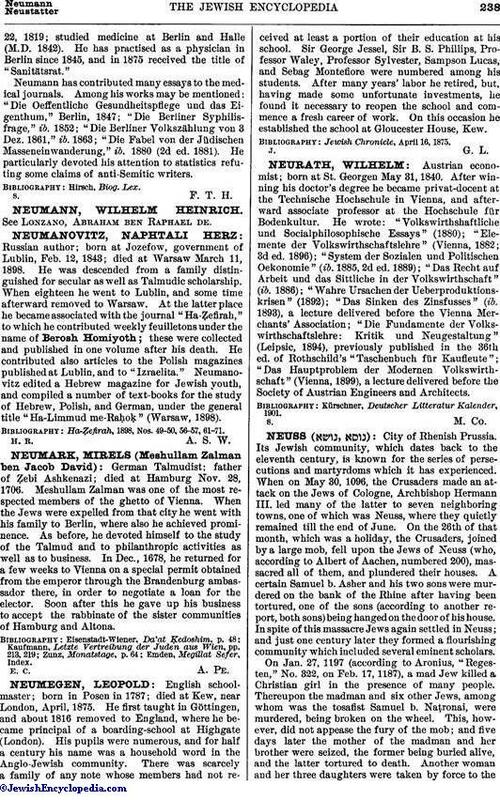 Among his works may be mentioned: "Die Oeffentliche Gesundheitspflege und das Eigenthum," Berlin, 1847; "Die Berliner Syphilisfrage," ib. 1852; "Die Berliner Volkszählung von 3 Dez. 1861," ib. 1863; "Die Fabel von der Jüdischen Masseneinwanderung," ib. 1880 (2d ed. 1881). He particularly devoted his attention to statistics refuting some claims of anti-Semitic writers.